The new Azden FMX-42u Pro Portable Mixer is the latest in Azden’s well-regarded FMX-42 series of portable audio mixers, and comes packing a new USB digital audio out. This will allow the FMX-42u to connect to a computer, smartphone or tablet on the fly, increasing its potential for on-the-go editing. 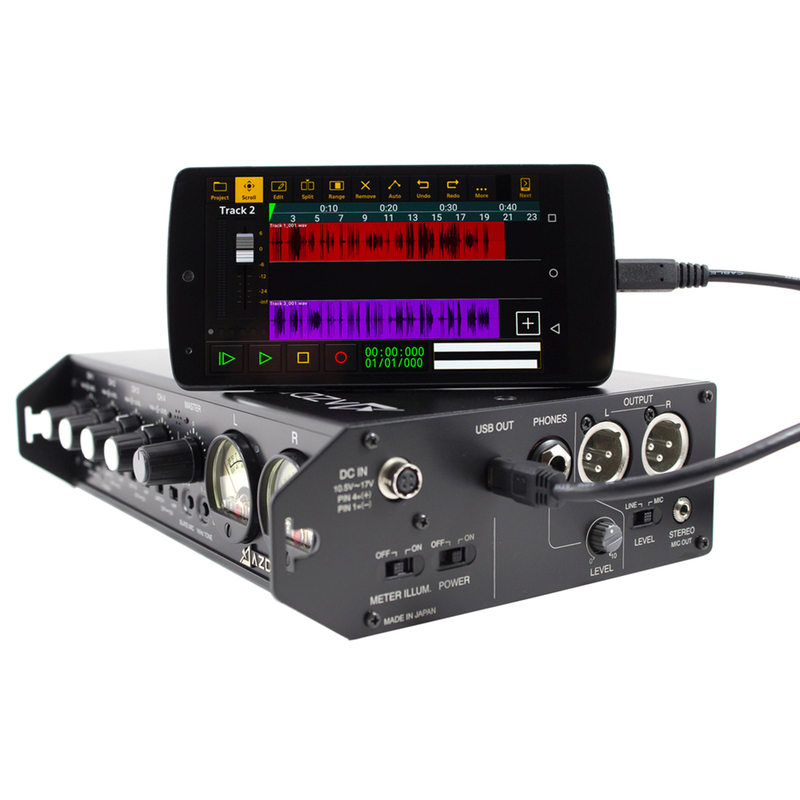 The FMX-42u also allows for use of up to four XLR microphones while shooting video with a smartphone or tablet, and can also be used as a mixer for online streaming. It also inherits plenty of features from its predecessor, including: four balanced XLR line/mic inputs, sitchable 48V phantom power and limiting, professional quality VU meters for accurate level setting, master level control, 1k tone generator, 2 balanced XLR outputs (line/mic switchable), stereo mini-jack output for DV cameras and a headphone output with level control. Powering the FMX-42u can be done either with six AA batteries or a 12V DC external power supply. 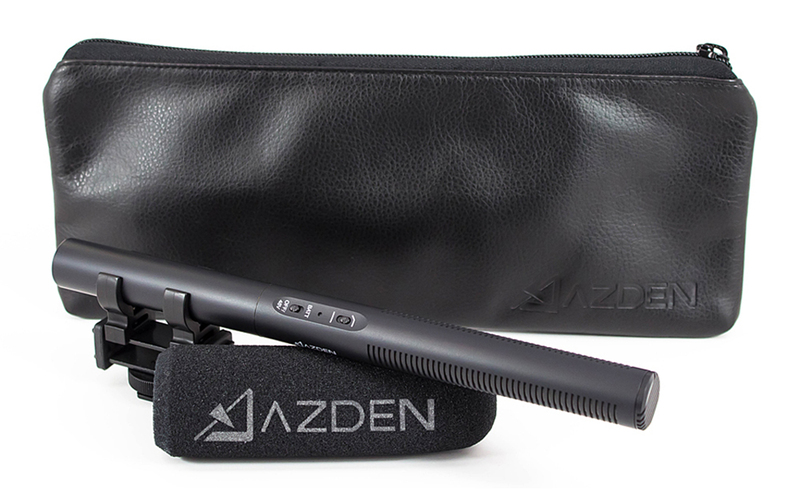 Also announced was the new Azden SGM-250 Professional Dual-Powered Shotgun Microphone, which the company says features a ‘drastically redesigned’ microphone element to improve sensitivity, frequency response and signal-to-noise ratio. With a custom designed slotted acoustic barrel, the SGM-250 should boast excellent directionality and side-noise rejection. Able to work off standard 48V phantom power or a single AA battery, the SGM-250 is compact at 250mm and can be mounted on small DSLRs or boom poles. In a recessed switch area, the SGM houses a low-cut filter, which is designed to help reduce low frequency noise, a power switch to toggle between battery or phantom power operation, and an LED battery indicator. It also comes with a zippered carry pouch, shock-absorbing mount and a foam windscreen (above). 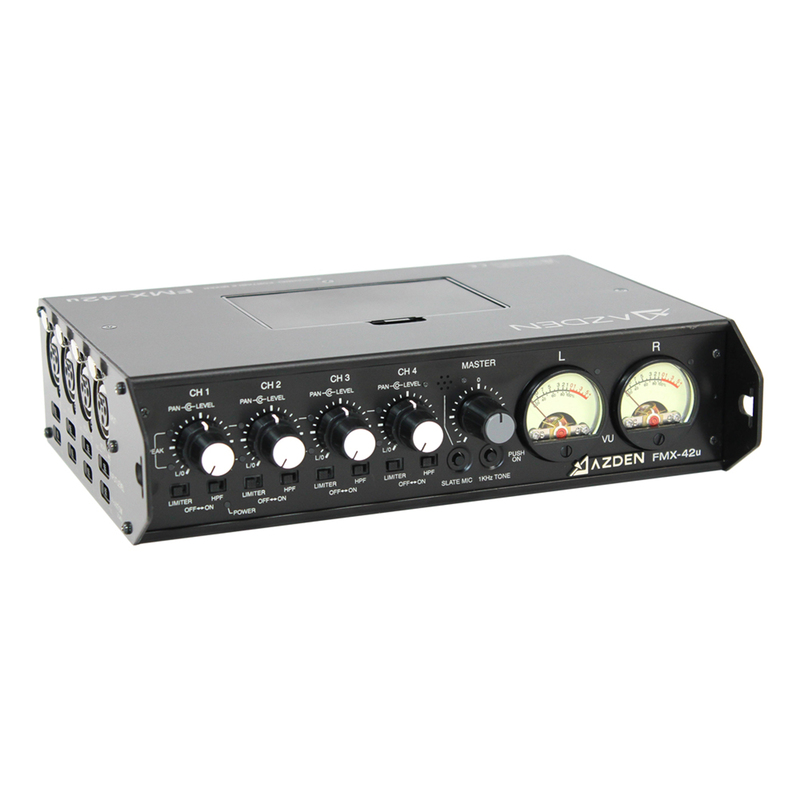 The Azden SGM-250 will be available for £299.99, while the Azden FMX-42u Pro Portable Mixer is priced at £729.99. Visit www.intro2020.co.uk.